About FEFCO About the industry What is Corrugated? 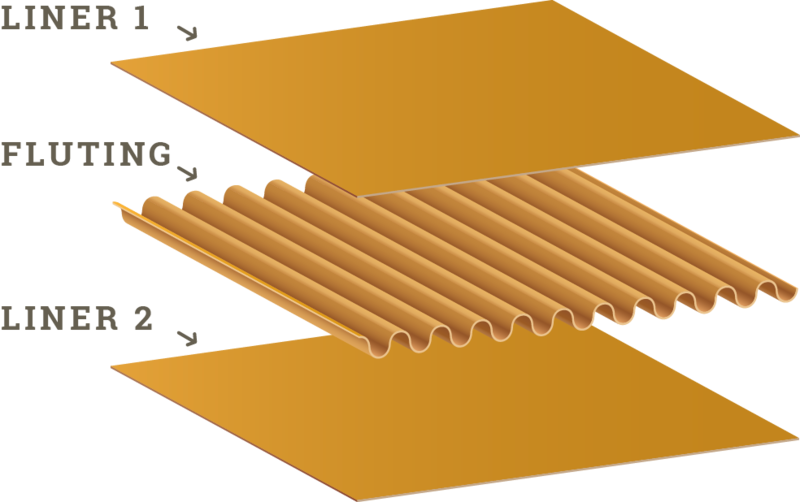 Corrugated board is made from a combination of two sheets of paper called “liners” glued to a (fluted) corrugated inner medium called “fluting”. These three layers of paper are assembled to each other with the help of a starch glue in a way which gives the overall structure a better strength. This type of board is called single wall corrugated board. Double wall and triple wall boards are also available on the market A corrugated board grade called single face board consists of corrugated medium glued to only one flat liner. This ingenious construction forms a series of connected arches, a geometric form that is well known for its ability to support strong weights. This structure gives corrugated board considerable rigidity and resistance. The air circulating in the flutes also serves as an insulator which provides excellent protection of the packed goods against temperature variations. 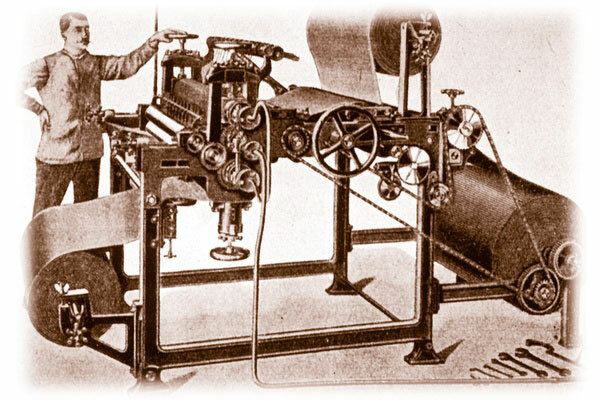 The history of corrugated dates back to almost 150 years ago. Thanks to its basic raw materials, and despite considerable changes, modern corrugated packaging is not so different from that produced and used by our great grandfathers. This ingenuous construction will always provide a very wide range of benefits and will remain popular, innovative and very creative.